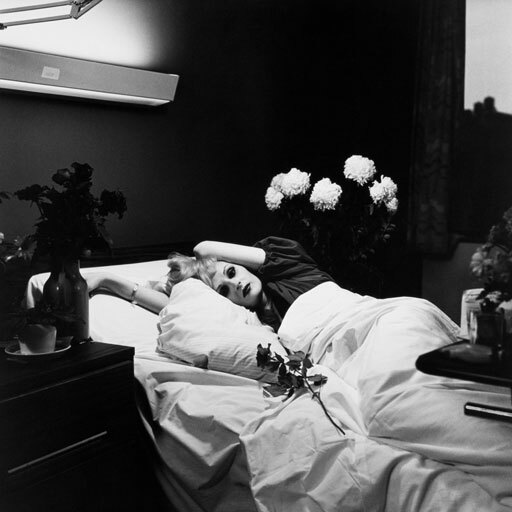 Candy Darling (1944–1974), born as James Lawrence Slattery, was a trans woman (a male-to-female transgender) and an American actress, best known for starring in several of Andy Warhol’s films. Her first assumed name was ‘Hope Slattery’. According to former Warhol associate Bob Colacello, Darling adopted this name sometime in 1963/1964 when she was going to gay bars in Manhattan. Around that time she also started making visits to a doctor on Fifth Avenue for hormone injections. Jackie Curtis, also a Warhol superstar, stated that Candy adopted her name from a well-known Off-Off Broadway actress named Hope Stansbury, with whom she lived for a few months so that she could study her. Holly Woodlawn, another Warhol superstar, remembers that Darling's name evolved from ‘Hope Dahl’ to ‘Candy Dahl’ and then to ‘Candy Cane’, and how Darling had adopted the name because a friend of hers affectionately called her 'darling’ so often that it finally stuck. Roommate and friend Jeremiah Newton believed she adopted her forename out of a love for sweets. Warhol cast Darling in a short comedic scene in ‘Flesh’ (1968) together with Jackie Curtis and Joe Dallesandro. After ‘Flesh’, Candy was cast in a central role in ‘Women In Revolt’ (1971). The day after the celebrity preview of ‘Women in Revolt’ a group of women wearing army jackets, pea coats, jeans and boots and carrying protest signs demonstrated outside the cinema against the film, which they considered anti-women's liberation. When Darling heard about this, she said, ‘Who do these dykes think they are anyway? Well, I just hope they all read Vincent Canby's review in today's Times. He said I look like a cross between Kim Novak and Pat Nixon. It's true - I do have Pat Nixon's nose'.